Police departments in Dubai and New York City have been testing Google Glass to see how they can implement it for use on the streets. It has been known for months that the NYPD is testing this technology, but it was uncertain how it would be utilized. However, recent developments in Dubai are shedding new light on how police may use Google Glass to generate revenue. Google Glass is an electronic pair of glasses with facial recognition technology that is connected to the internet. 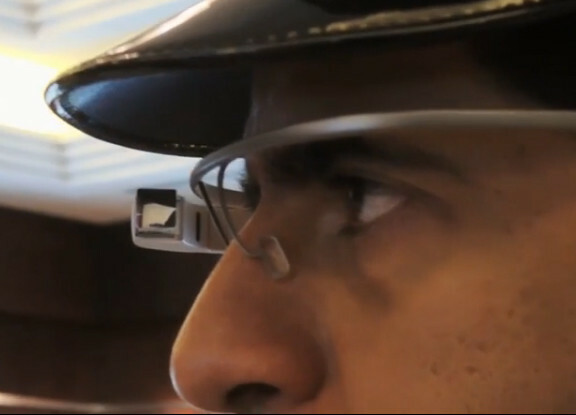 In Dubai, the first applications for Google Glass are related to vehicle tracking and traffic violations. Dubai police are not just testing this equipment, but have actually created an entirely separate branch of their police department which is specifically dedicated to taking advantage of new technology. The tech branch of the Dubai police department is called the Dubai Police Smart Services Department, and they have already created 2 separate Google Glass applications that they plan to use in their day to day operations. It seems that Google Glass will first be used as an advance license plate scanner, that will allow police to identify a car by simply looking at it. It is likely that dozens of other uses will be found for this technology, but this application alone gives police some very creepy and dangerous capabilities. Google Glass is just one of many powerful tools that law enforcement will be using to generate revenue in the years to come. In the United States, the NYPD is at the forefront of this Orwellian technology, and it was reported recently that the NYPD may even consider deploying drones in the skies above New York that would be equipped with microphones. It’s not just the NYPD either, they just happen to be one of the most well equipped police departments in the country, with one of the largest populations under it’s control. This month it was also reported that a South Florida police department would be implementing a new cell phone tracking technology known as “stingray”. All over the country, programs like this are being implemented by local police departments and tested on the most average cases. It would not be a surprise if police nationwide were equipped with Google Glass in years to come. Below is a news snippet from Dubai on the implementation of Google Glass.